It was real cloudy in Cincinnati 6-28-03. Then the clouds opened. 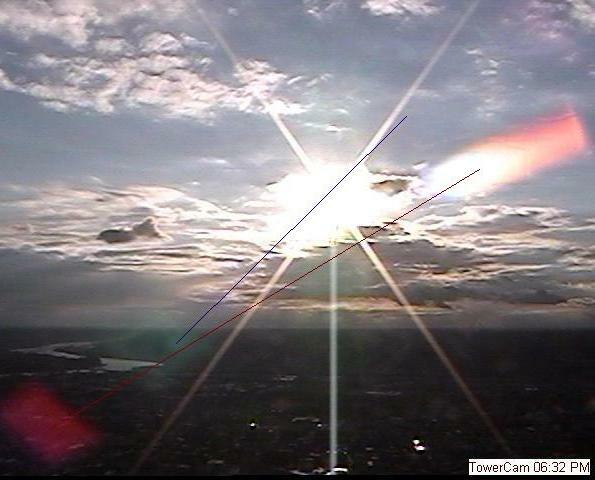 This was the first pic I got showing double sun, one on top of the other. 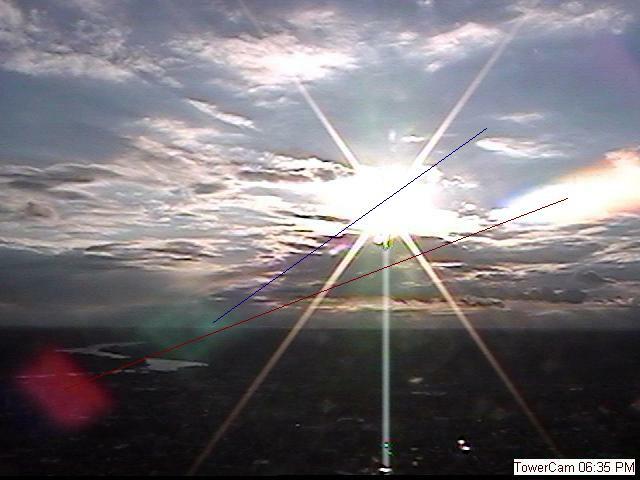 Then I caught the other photos which started with bright light at top, then to side and near bottom as sun set. 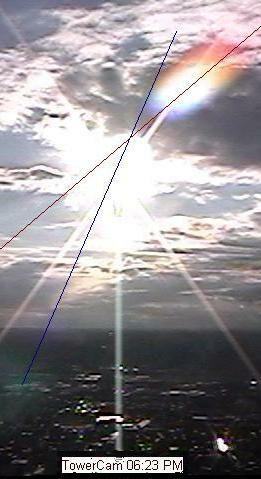 Here both the Fire Dragon and the Sun produce independent lens flares, with the Fire Dragon clinging to the Ecltiptic as the Sun moves to the right during setting. The presence of the Fire Dragon also produces the Red Cross effect, forcing the normal horizontal/vertical flare of the Sun into a cross.